The Sugar Snaps enjoyed Christmas this year and were able to identify Santa, though they did not know that he filled their stockings with goodies. 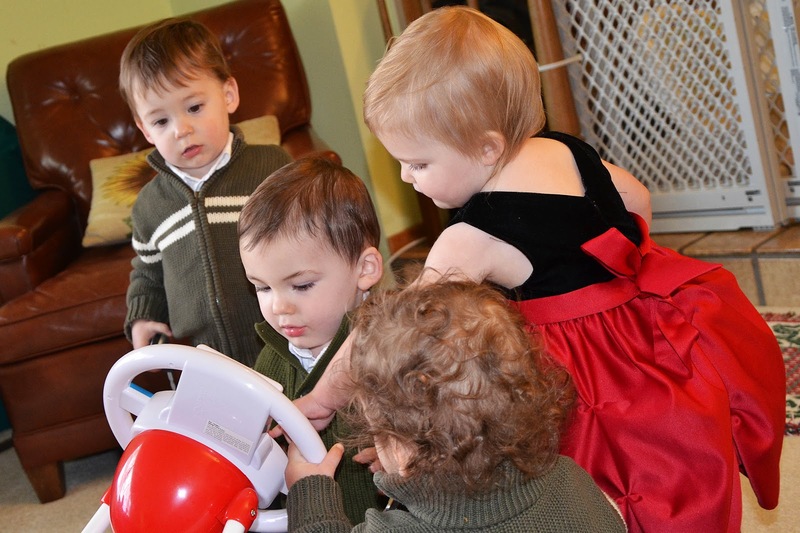 It was fun to spend time at Grandma and Grandpa’s house as they graciously let our four toddlers take over their home. The Sugar Snaps had fun seeing their Uncle David and their Great Grandma too. I will share a few photo highlights of the holiday week. 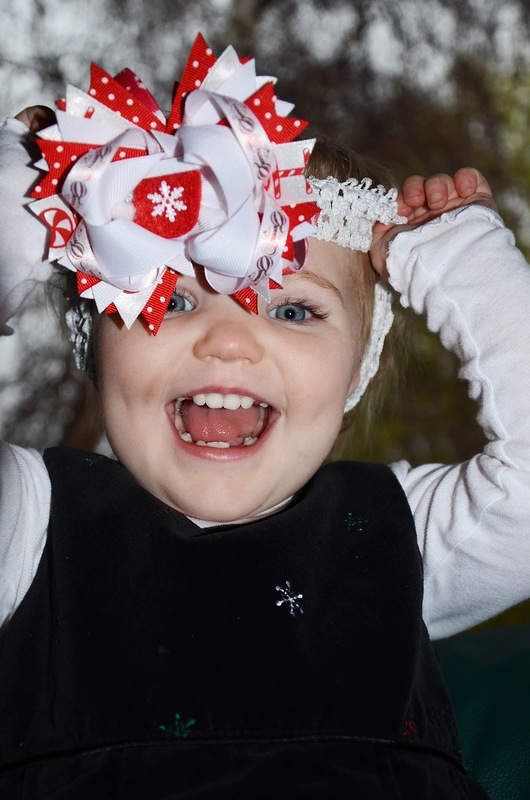 Capri looked like a package as she played peek-a-boo with her holiday headband. 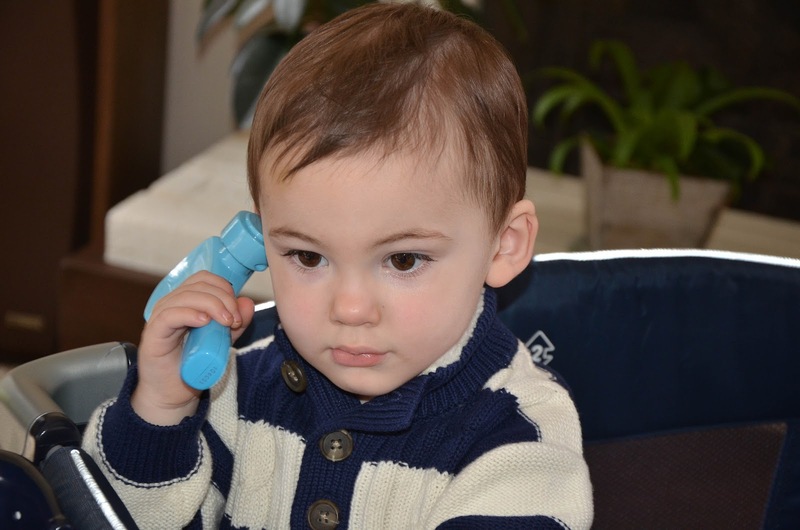 Ryder took an important call on his hammer while at Great Grandma’s house. 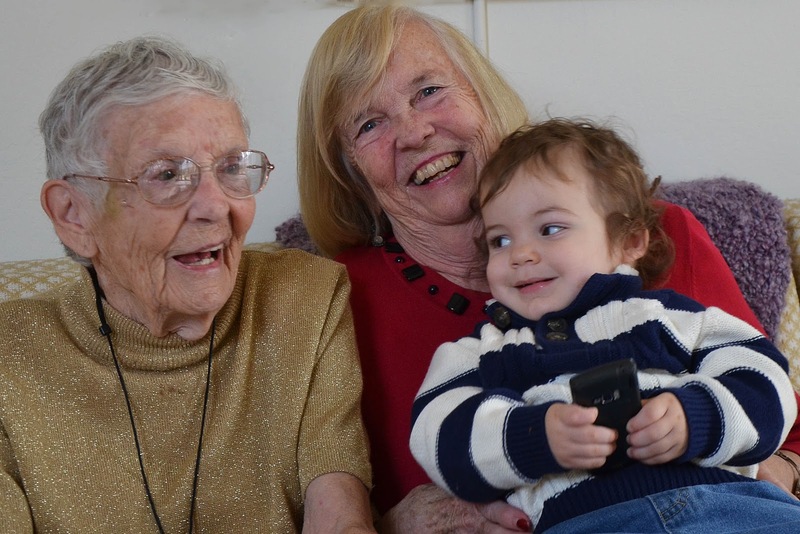 Great Grandma and Grandma enjoyed cuddling with Xayden. 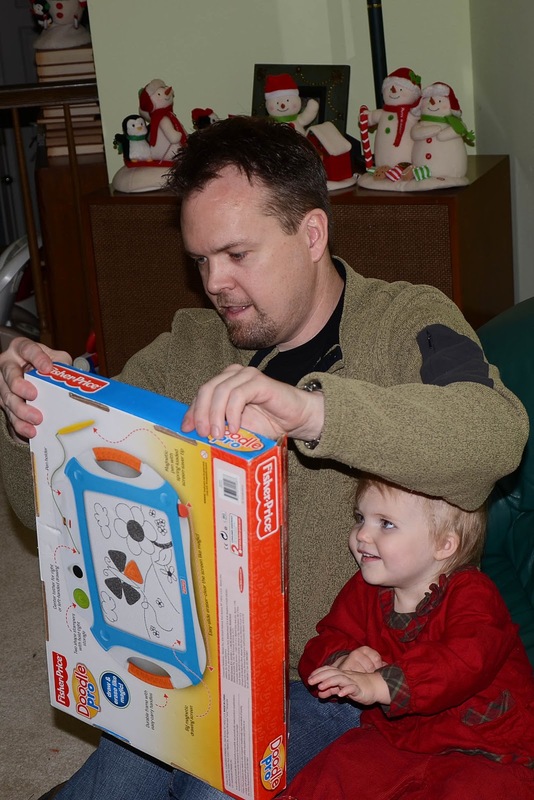 Uncle David opened a fun new drawing toy that he got for each of the Sugar Snaps. 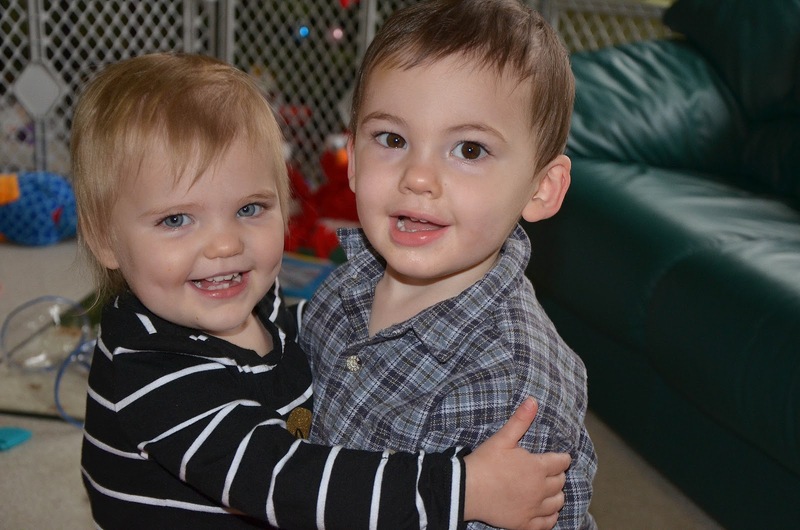 Capri and Ryder shared a holiday hug. 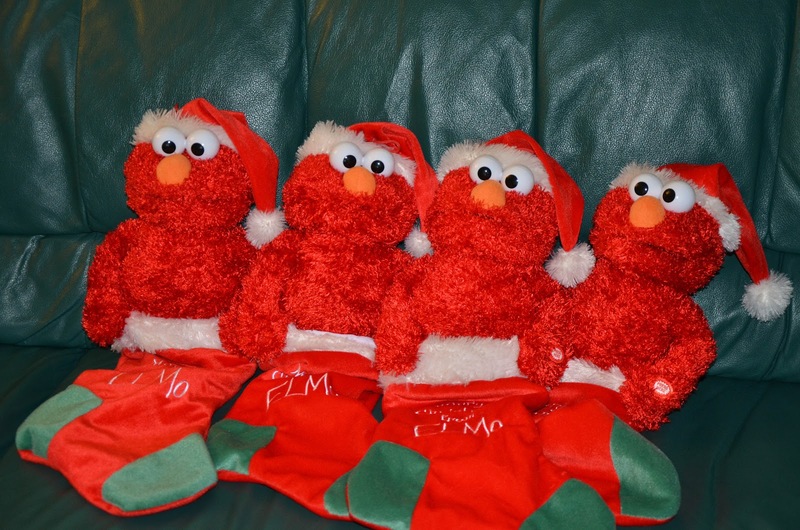 Their Elmo stockings sat ready for Santa on Christmas Eve. The Sugar Snaps loved their new simulator and took turns driving. It was a wonderful holiday season spent with family and friends. We feel so fortunate to see the Sugar Snaps growing, changing and developing connections. How was your holiday season this year? I would love to read your stories and thoughts. As always, comments are welcome.